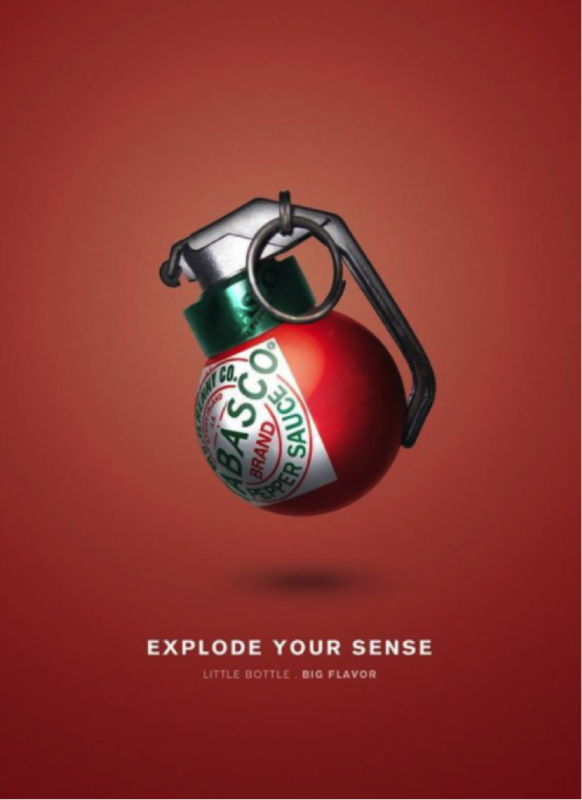 The Best Creative Photos for Marketing: Compelling marketing examples that will inspire you to design creative, more effective ads for your business. 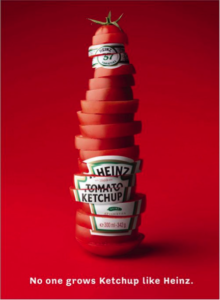 Does your marketing work to make your brand stand out? If not, you’re seriously wasting money and losing potential customers. It’s time to ditch your mediocre marketing and ineffective ads and take a lesson from companies who are doing it right! 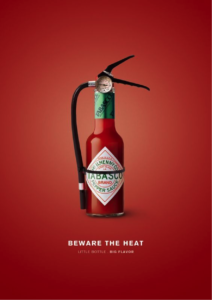 Have a look at some brilliant examples of the best creative photos for marketing and their amazingly clever application. 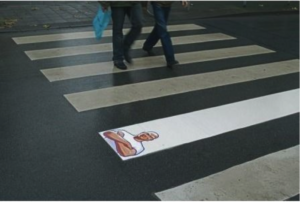 Get inspired and start thinking of creative ways to capture attention and really get your message across. You must be bold to be noticed. You must be unique to be remembered. Get your customers’ attention with creative visuals and keep your brand at the top of their minds. This world is oversaturated with mediocre ads and marketing. In a world where everyone is busy and no one is paying attention, it’s crucial to break through the noise to get your message across in a clever and memorable way. No matter how busy we get and how much marketing we are hit with on a daily basis, we, as consumers, will stop and take notice of compelling marketing. In the 1970’s, the average consumer was exposed to about 500 ads per day. Today, that number is over 5,000. It is critical that businesses understand how to stand out and get noticed among such a crowded marketplace. Creative and memorable photos have the biggest impact but this is easier said than done. Coming up with a nice layout and buying up great ad space is not enough. Running a generic commercial on TV or getting a shoutout on a local radio station is not enough. 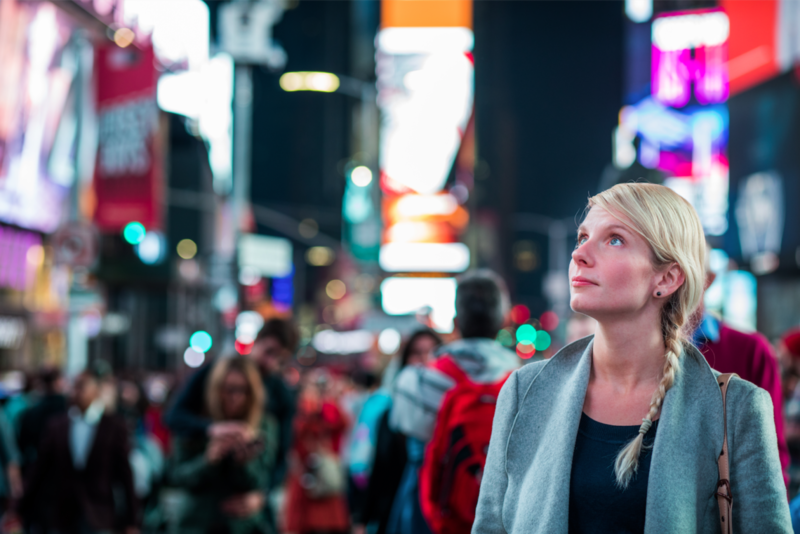 It’s critical that your marketing stands captures attention one way or another and stands out as special in the consumer’s mind. When you use the best creative photos for marketing your business, it converts customers and produces sales. 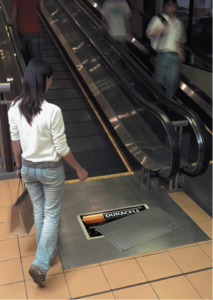 Make sure your marketing campaigns have exactly what it takes to be memorable and effective! Developing the best creative photos for marketing your business is not an easy or obvious mission. An endeavor like this calls for sharp and creative minds and a high level of photography and graphic design capabilities. You’d better use all of the tools in your box because the competition is fierce! Sometimes it’s easier to show you than tell you. If a picture is worth a thousand words, how many dollars do you think the best creative photos for marketing will amount to? We have rounded up some of the best creative photos for marketing that we’ve seen. Check out these incredible eye-catching visuals and pay close attention to the application of these images. The brilliance behind some of these will blow your mind! 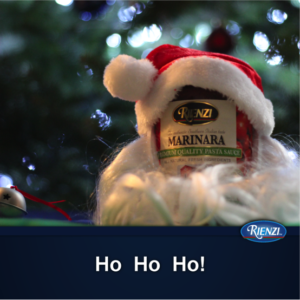 …because it’s basically just a bottle of sliced tomatoes, fresh from the garden. 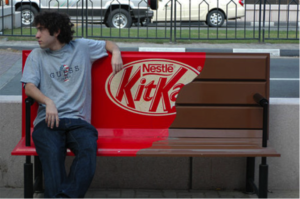 …the bench itself looks like a delicious piece of chocolate candy. 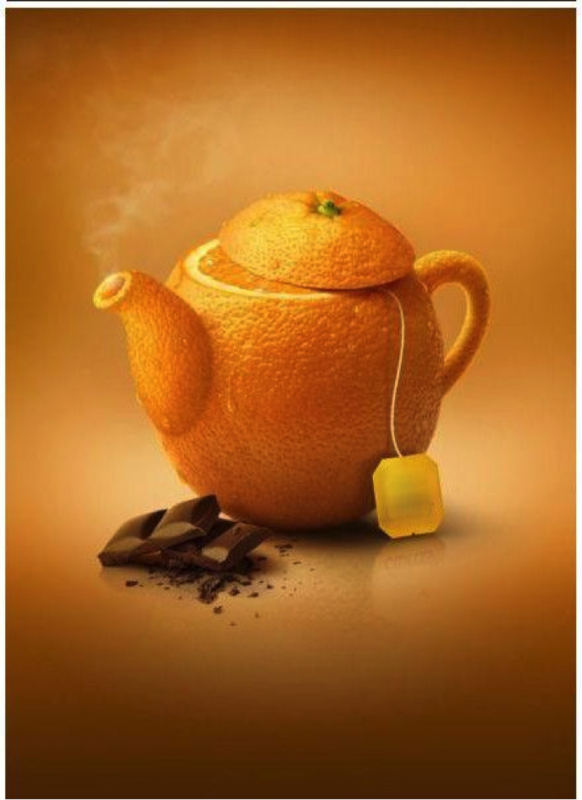 …orange flavored tea that tastes just as real as the fruit. 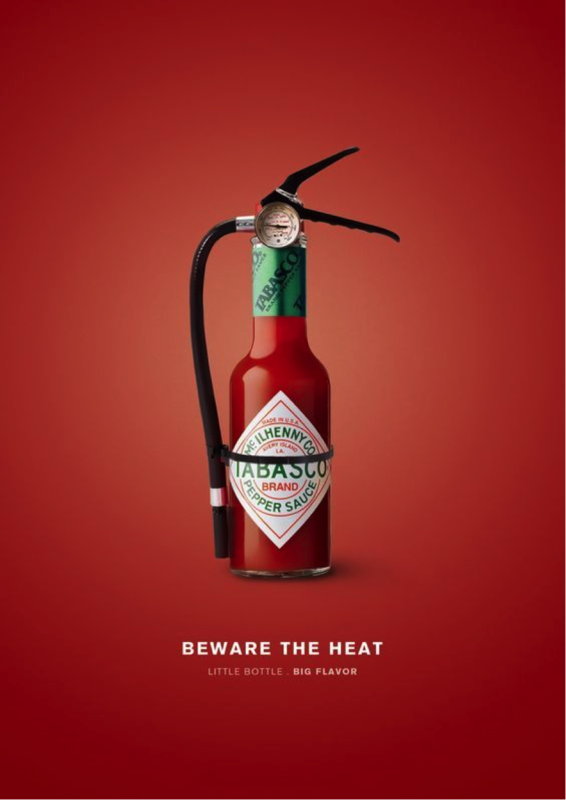 …because the hot sauce is so hot that it’s hazardous. 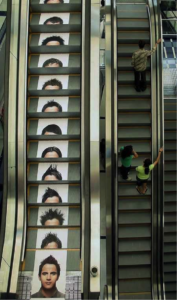 …very creative ad placement by a barber in a mall who is located right at the top of this escalator. 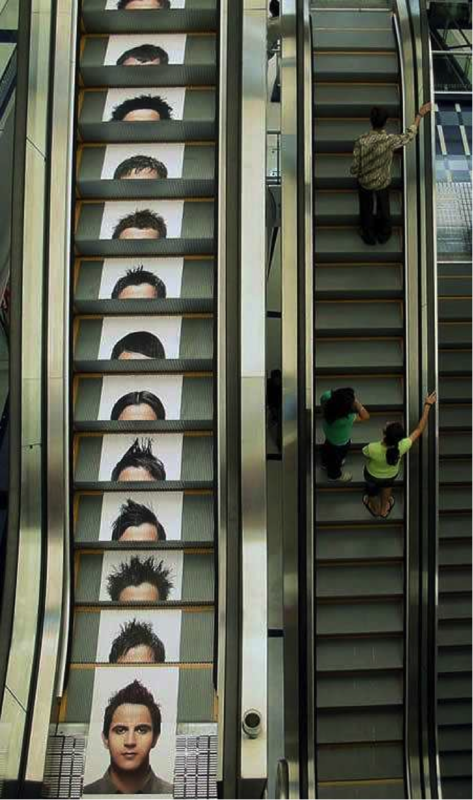 People actually stop and watch the different haircuts hit the face at the bottom for several minutes at a time. It is brilliant! 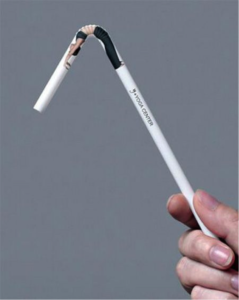 …a branded bendy straw to remind you to stretch and increase your flexibility. 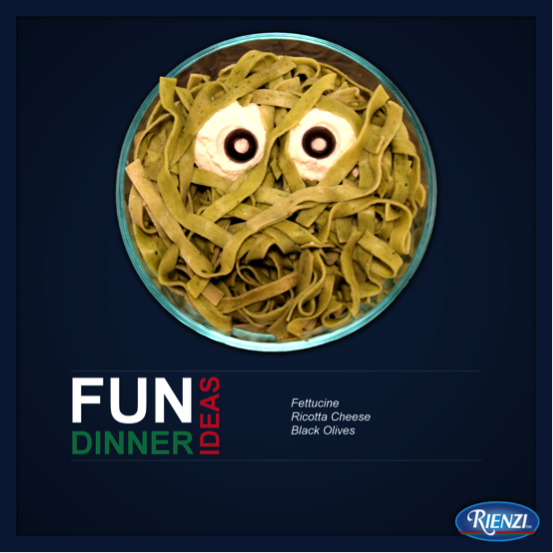 So fun, and a very inexpensive promotion tool! …clever optical illusion suggests this battery brand is powerful enough to run the escalator. …bleaching the white lines on the crosswalk with Mr. Clean. …having some fun with product photos gives the brand more personality, and serves to amuse and delight consumers. Use Creative Photos and a Clever Application for Marketing Your Business! Many of the examples above may not apply to your situation and may not fit your business, or your products or services but this collection shows a vast range of ideas for the best creative photos for marketing. 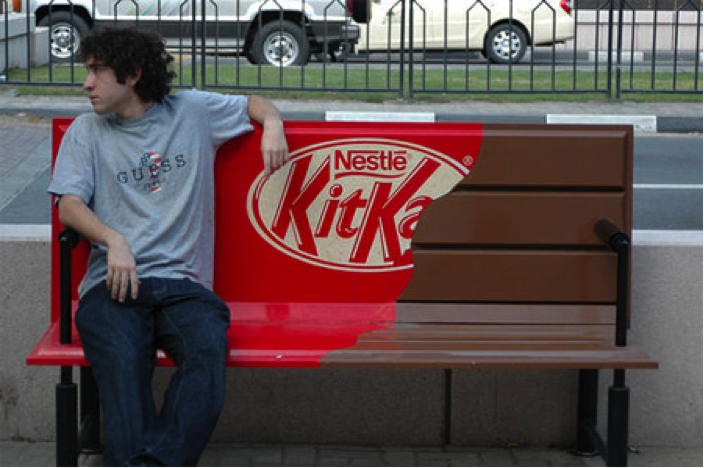 No matter what type of business you are in, there are no limits when it comes to using creativity in marketing. 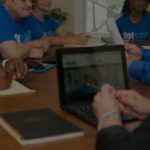 At DotCom Global Media, we serve a variety of businesses and each one presents unique marketing potential. Believe me, you can be creative and clever with ANYTHING! As you can see from the funny face Rienzi pasta image and Santa Clause sauce jar, it’s possible to capture attention and do something memorable no matter what you’re working with. Make up your mind today to stop the ineffective ads and shut down all channels of mediocre marketing. Start thinking outside of the box and commit to investing in marketing that makes an impact! Use stunning, creative photos and clever placement from now on as you’re marketing your business. 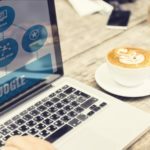 How well is YOUR website performing for your business? At DotCom Global Media, our team of expert web developers and content writers have perfected the process of evaluating business websites. We have been going town by town, county by county to find the best and the worst websites across multiple industries. We accept a number of submissions each week, and we will provide a full report FOR FREE. The results are documented and used as reference for our ongoing website design study. 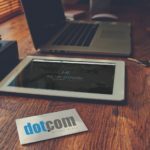 Do you want to submit your website for an evaluation? Once your website is selected, we’ll run reports and grade your site on design, features, content, and authority- and we’ll share the results with you as the business owner, or another member of your management team. Click to get your free digital health report today!